Miller by Sperian , a specialist line of personal protective equipment (PPE) adds a new safety harness to its fall protection range. The Miller Miners harness is a full body harness available in underground as well as surface models and is manufactured from heavy duty but lightweight 43mm Duraclean webbing. The Duraclean webbing in the Miller Miners harness comes with a coating that forms an invisible barrier to prevent water, oil and dirt from being absorbed into the webbing. Apart from ease of cleaning, the coating also helps to prolong the life of the harness. In addition to the underground harnesses and surface harnesses, the Miller Miners harness range also includes a flame-resistant KMAX.4 vest style harness designed for above ground welding applications. A prospector miner’s belt is a key feature of the underground Miller Miners harness, designed specifically to carry emergency breathing apparatus and other tools. 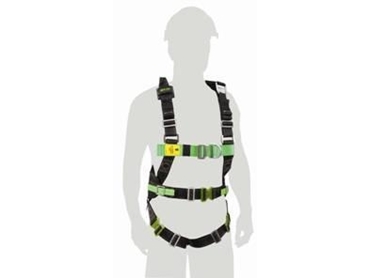 Incorporating a battery and self-rescuer strap, the belt allows users to wear their self-rescue units on the side instead of the back, eliminating discomfort when sitting down while ensuring worker safety compliance.